that’s what elliott calls it after my having called attention to the fact that i have foamed the milk for my cappuccino to a new height resembling the matterhorn. i’ve written before on this blog about my preference for foamed milk made with a foamer without the injection of steam produced by the foamers on some espresso machines. but i now have some new information that i think will be of use. first of all, i found that not all foamers are created equal. if using a hand-held battery operated foamer, aeorlatte is the one that produces the finest, most stable foam. if suddenly the foam seems less impressive it’s time for two new batteries. for ease in use, and a finer foam still, i use the nespresso aerocino which plugs in and makes the process mostly and blissfully automatic. 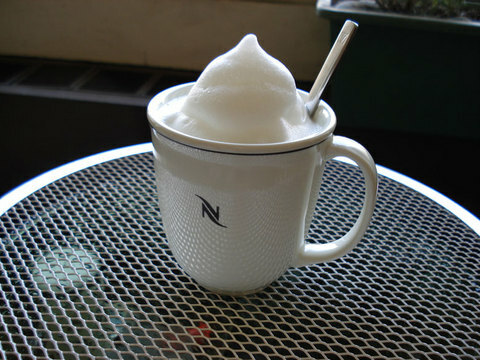 fellow blogger hector made the important discovery that when chilling the aerocino the foam is still more voluminous. i now keep the aerocino in the frig always at the ready! but there’s another vital factor to the production of ideal foam and that is the milk. you can have the best apparati and still achieve inferior foam if the milk isn’t right. non-fat milk probably foams the best but has no flavor. next best is 1% so when i use that, i add a little heavy cream to the espresso. 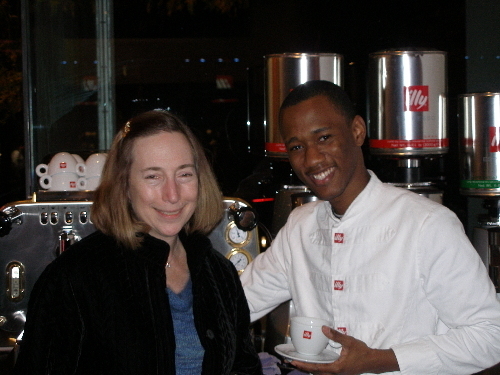 whole milk will also foam well but you have to experiment to find the best brand. i’m sure it has to do with something in the milk production and/ or ingredients added. in my area, cream o’ land whole milk and tuscan 1%, work the best. 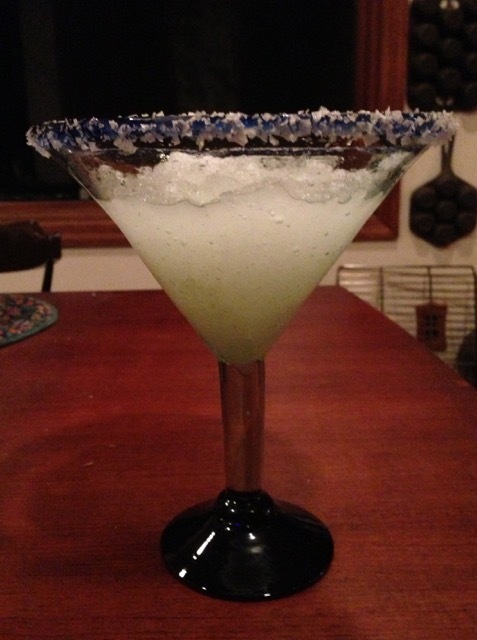 The Snow Margarita My favorite time to drink Margaritas is in Winter when it's very cold and it snows There is no frozen Margarita finer than one made with fresh driven snow and the colder the temperature the lighter and finer the snow. 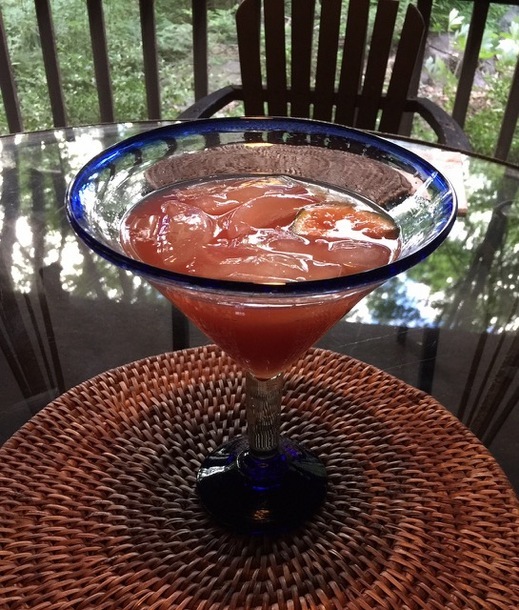 If the kids are jealous make theirs with lemonade! So new motto: In addition to "When life gives you lemons make lemonade" "When life gives you freezing weather and snow, make frozen drinks" Hey--I bet it would even elevate cocoa cola to a whole new level! Note: You can also try frozen pomegranate concentrate or pomegranate juice added to taste but the Boyajian variety is fantastic!